Kane Soulsby is an aspiring young entrepreneur, at just 30 years old he has established a reputable brand called Cannadonia. Established just over two years ago, this is Kane’s first business venture. It started as just as a web-based business but now they are trading in Cameron Toll Shopping Centre. 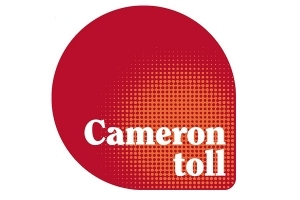 Cameron Toll Shopping Centre has an average footfall of 81,000 per week. Anchor stores include New Look, Game, Boots and Sainsburys. Cannadonia is a natural and pure CBD product that is 100% legal in the UK. The business consists of a group of family and friends dedicated in building and developing a healthy relationship between the mind, body, nature and the environment. Cannadonia are members of the “Cannabis Trade Association” who are committed to working with the UK Government to help develop a fully regulated industry in the UK. Kane researched into his own business and found a number of very positive stories from Cannadonia customers who have been using the oil. Some stated that they have had remarkable health benefits from using the Cannadonia products. Finding happy customers gave Kane the motivation to continue to strive to produce the best and the purest on the market. Cannadonia have grown massively as a business in a short space of time. They even have the support of a professional Muay Thai Athlete who sponsors the brand. Cannadonia have also been featured during prime-time TV with a television advert which brought in lots of media press coverage. 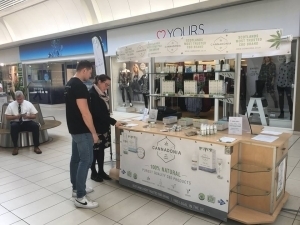 Cannadonia have been trading in Cameron Toll Shopping Centre for over 2 months now and have had a fantastic reception from customers and have quickly built up a loyal customer base. Cameron Toll is the first flagship retail sport for Cannadonia. We are continuing to work hard with Kane to expand his business to other venues and to build a bespoke kiosk. “Opening up our first Cannadonia CBD stall with Space to trade has been an easy hassle free journey. Lynn helped us with all the necessary paperwork and kept us on the right track all the way. Always quick to respond to any queries we have had and always helpful. A smooth process from the start. The stall does fantastically well and we hope to keep working together for a long time”.